In a small sauce pan, combine water and sugar or honey. Simmer for 5 minutes until all sugar or honey is dissolved, remove from heat and add mint. Let cool completely. 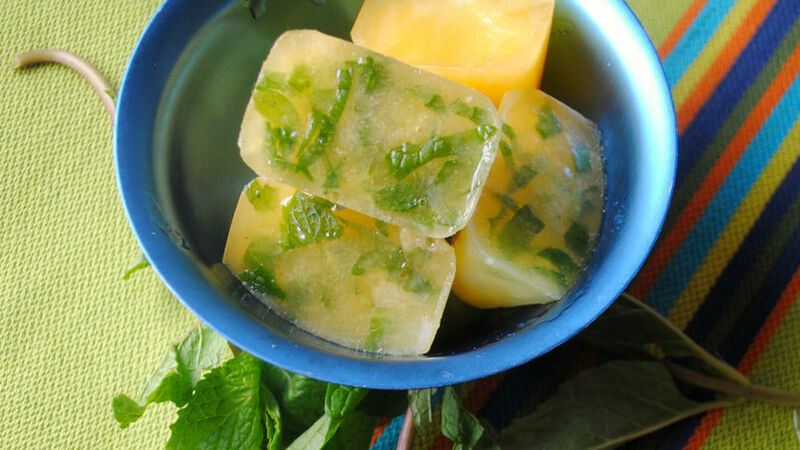 Combine cooled mint syrup with fresh orange juice and add to ice cube trays. Freeze until solid. Sweeten up any drink by adding fresh berries to ice cubes. Swap out mint for any other fresh herb. Sweeten your ice teas or agua frescas with these citrus ice cubes. They won't dilute the flavor of your favorite beverage, but instead will add a splash of citrus. It's a win-win!